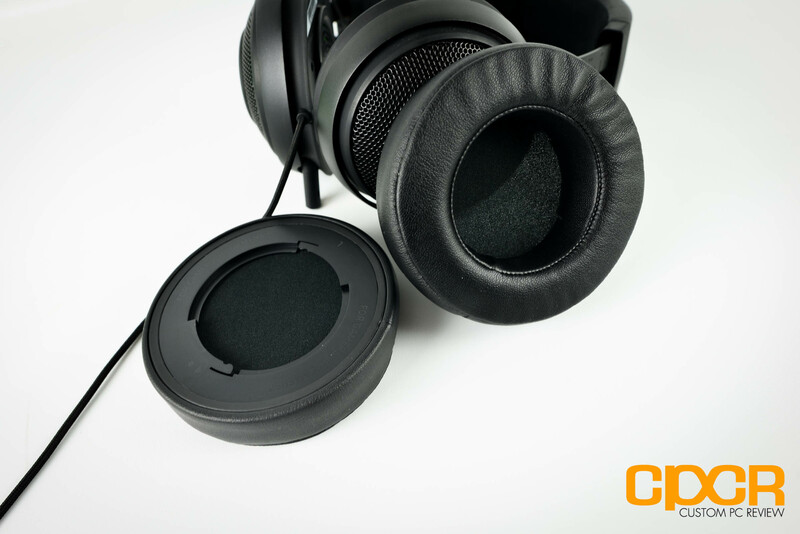 Among the new improvements includes a significantly larger driver size which has been upped to 50mm neodymium magnets over the previous 40mm used in the original Kraken Pro lineup. 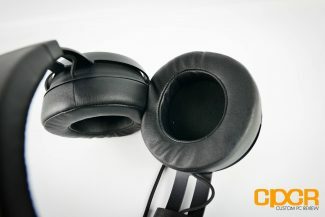 As such, the earcups are significantly larger than before and the frame is now a uni-body aluminum chassis making it significantly more durable than its predecessors. Let’s take a closer look. 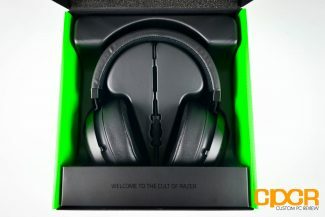 Here’s a look at the packaging for the Razer Kraken Pro V2. 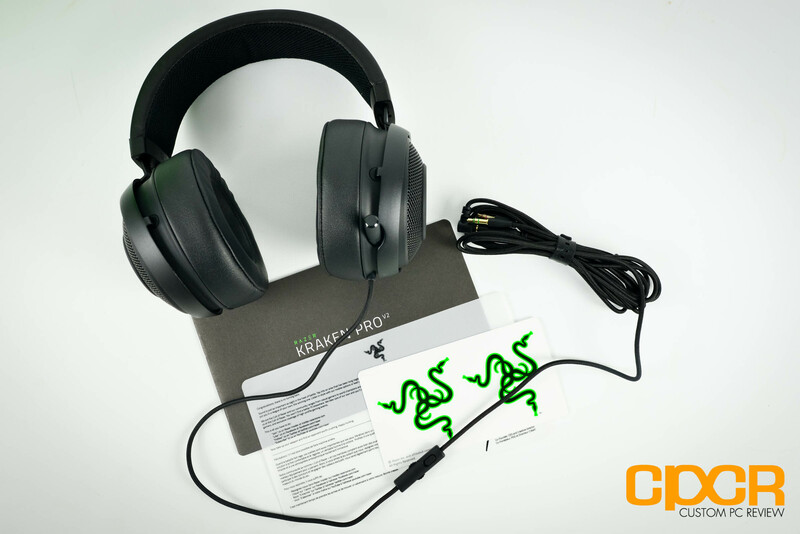 Included is some documentation, the Razer Kraken Pro V2, and an extension cable which doubles as a 3.5mm splitter. 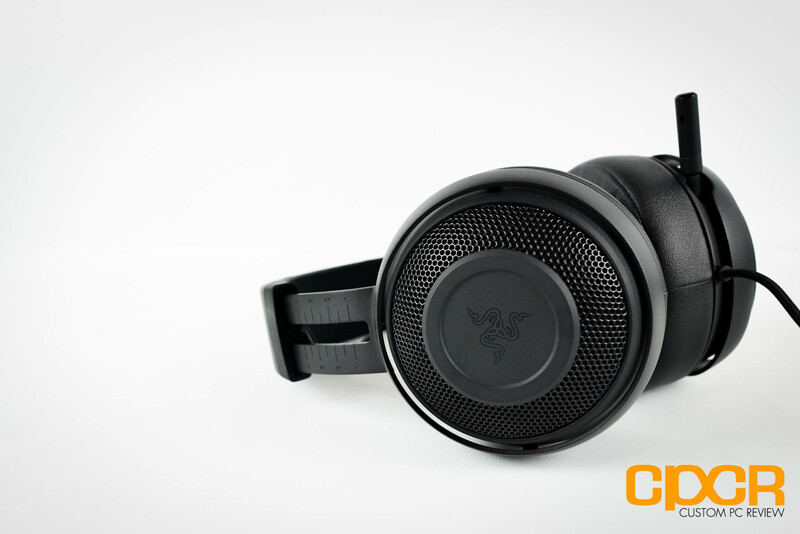 Here’s a closer look at the Razer Kraken V2. On the surface, the Kraken V2’s look hasn’t changed all that much since the original, but it now features earcups that are significantly larger and the bauxite aluminum unibody frame frame is immediately noticeable, instantly giving the Kraken Pro V2 a more premium feel than its predecessor. 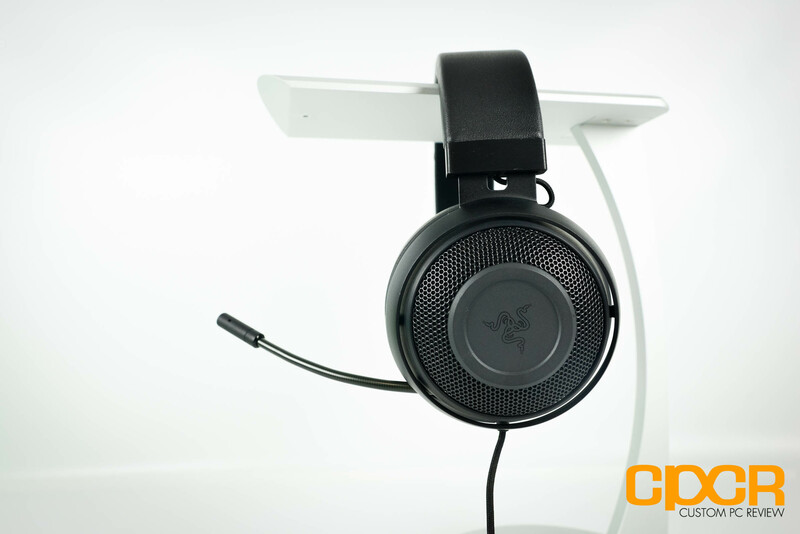 Swinging around the side of the headset, we can see the Razer Kraken V2’s massive earcups which are significantly larger than what you’d find in previous Kraken designs thanks to the larger 50mm drivers housed in the V2. As usual, the Razer logo is still embedded in the center and the left earcup still features a retractable microphone which can be stowed away when voice communications aren’t needed. While Razer’s Kraken series had always featured replaceable earpads, the Razer Kraken V2 takes it up a notch by making removal of the earpads as simple as twisting and removing. 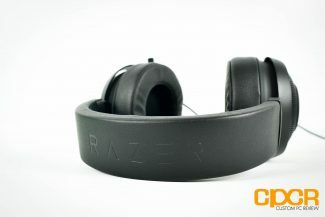 Razer sells replacements of the earpads as well as oval shaped version of the earpads via their website although at $20 per set, it’s not cheap. The Razer Kraken Pro V2 also features an inline volume/microphone mute switch in its 4.27 ft long cable. 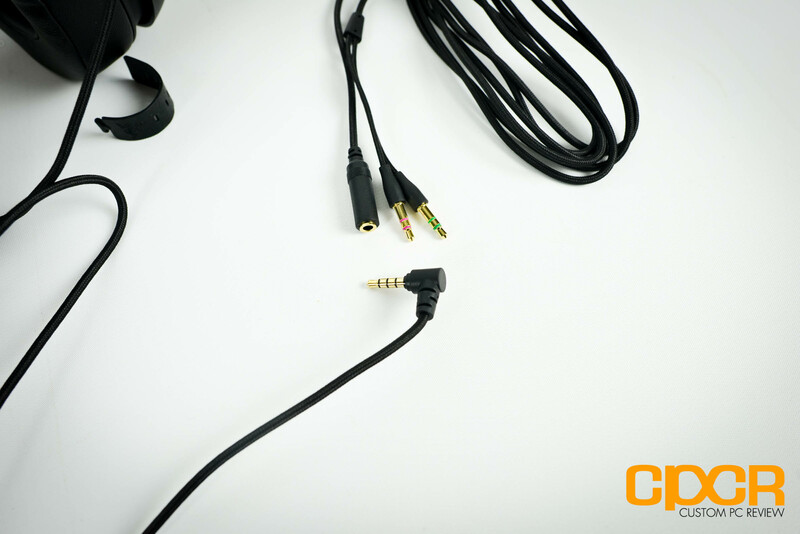 There’s also a 6.6 ft4-pole 3.5mm headphone/microphone combo jack to dual 3.5mm headphone/microphone jack splitter which doubles up as an extension cord. 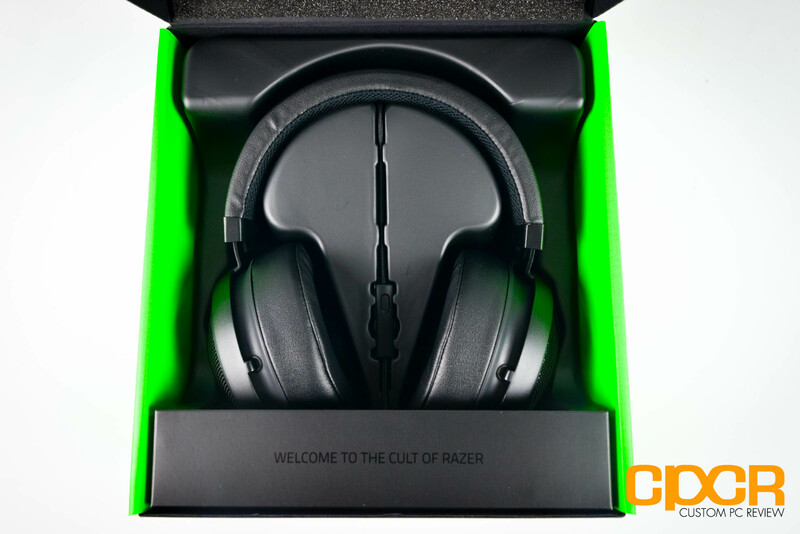 Having tested numerous Razer Kraken headsets in my life, I had some expectations going into the review. 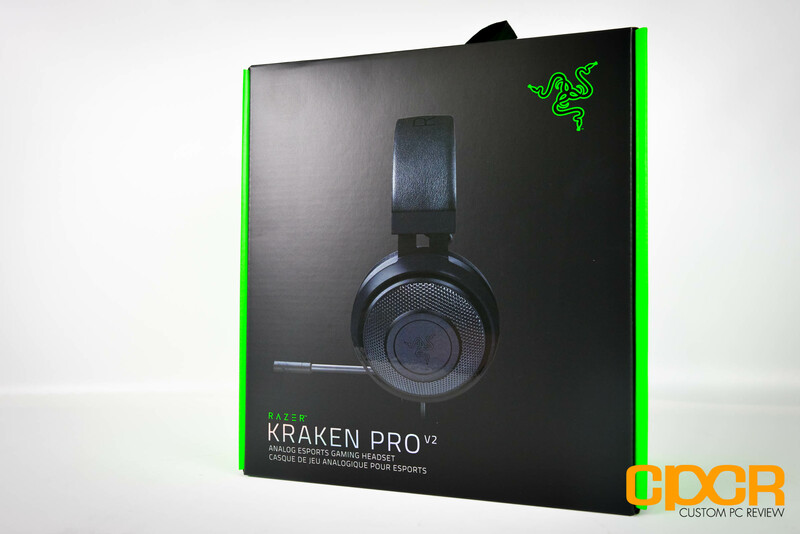 Previous Razer Krakens were all tuned to favor heavy bass which ultimately caused muddled mid and high ranges which made the headsets fun for explosion heavy gaming and movies, but little else. However, the new Razer Kraken Pro V2 proved to be a different beast. It seems that after years of making these headsets, and sponsoring numerous professional DJs and eSports teams with these headsets, Razer is finally figuring out that thumpy bass above all else isn’t a good design choice. While the new Razer Kraken Pro v2 still favors the low end, Razer has significantly dialed back the bass bringing back clarity to the highs and the mids. This is most apparent in vocal heavy music, TV, and movies where in prior versions of the Kraken, it would sound like people were talking through a earmuffs. With the Razer Kraken Pro V2, vocals are now clean and clear which makes it a significantly more enjoyable experience for a variety of different applications. 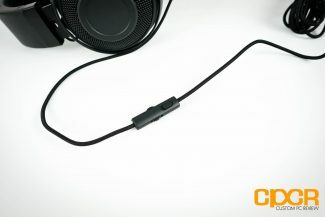 The microphone on the Razer Kraken Pro V2 is a unidirectional ECM boom microphone. As an analog microphone, it does a fairly decent job of picking up clear voice audio that’s useful for VoIP applications, but with slight background static and flat sound, it’s not well suited for much else. Those looking to do podcasting, streaming, or other tasks which require decent audio, a quality condenser microphone would be a much better bet. 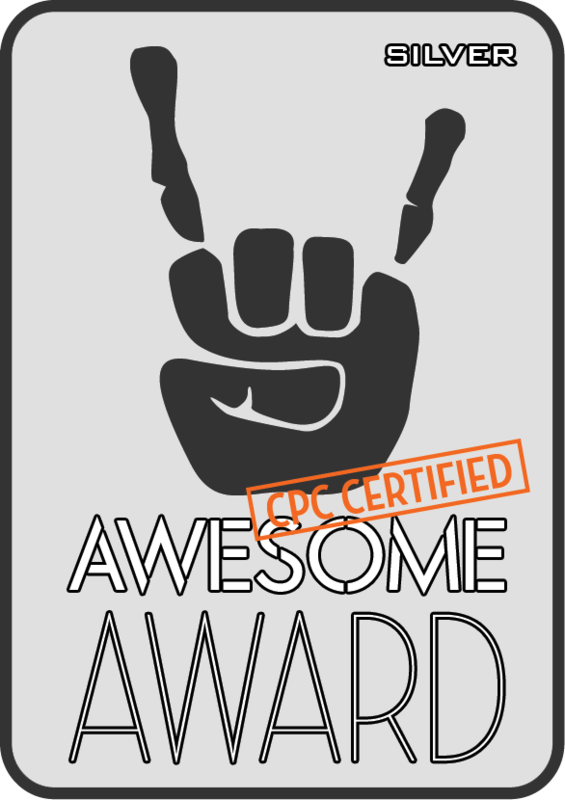 As for comfort, the Razer Kraken Pro V2 is fairly comfortable although for those with larger ears such as myself, the earpads still fall short of perfection. The new aluminum unibody design makes the Kraken Pro V2 feel slightly lighter overall and the new design puts less clamping pressure on the ears which makes it more comfortable compared to previous Kraken designs. Due to the fact that it’s quite a bit bigger, the size of the earhole is significantly larger as well, but with the stock round earpads my ears still rub against the inside of the earpads causing discomfort after extended gaming sessions. Luckily, Razer does offer oval earpads which can be purchased separately however, I didn’t get to test a set of those at this time. That said, aside from those with larger ears that touch the earpads, the large and thick earpads are very soft and will even accommodate people who wear glasses without issue. 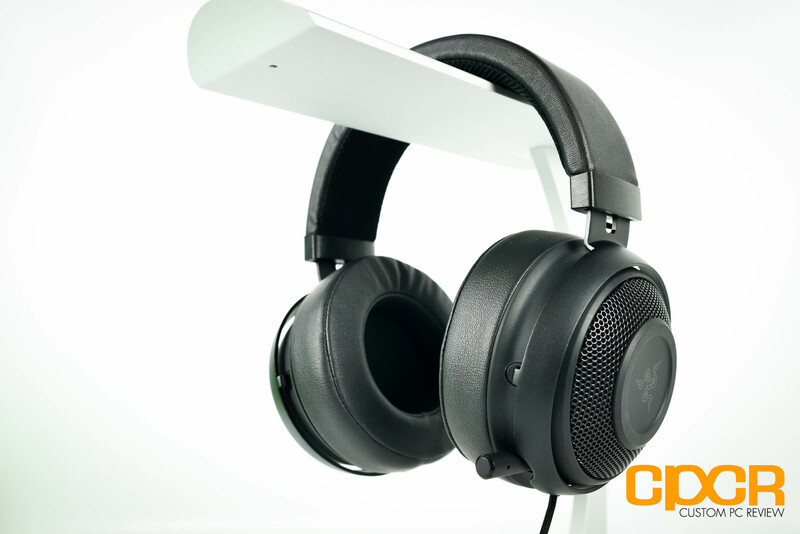 Overall the Razer Kraken Pro V2 is an excellent addition to Razer’s gaming headset lineup and is the first Razer headset I have enjoyed using in a long time. The sound quality has significantly improved over past revisions, the build quality has improved, and it’s quite a bit more comfortable as well. Although the earpads on the headset still fell short for me, the new design should be a perfect fit for a majority of gamers looking for a new headset to round out this holiday season. 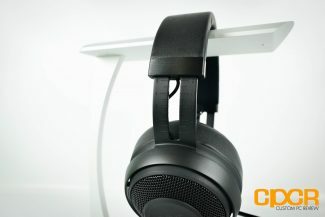 Currently the Razer Kraken Pro V2 will run ~$80, which is reasonable for a premium gaming headset considering competitors such as the HyperX Cloud II and the SteelSeries Siberia v3 is priced in the same range. Razer also offers their Kraken 7.1 Chroma V2 for ~$100, which is based on the same design however has the addition of Chroma lighting and Razer 7.1 surround functionality.